Killed 17 July 1929 by Chinese Communist-bandits in Nancheng diocese. Tim was captured while celebrating Mass, taken away and killed shortly afterwards. His head was partially severed from his body. He was 36 years of age. He was born on 29 June 1893 at Ballysimon, Co Limerick. Educated at St Munchin’s College; Maynooth 1911-1918. Ordained Maynooth 1918 for diocese of Limerick. Joined the Columbans the same year. Was a member of the first band to go to China in March 1920. Was in Hanyang 1920-1928 and was a member of first group of Columbans go to Nancheng in 1928. Taken captive by Chinese Communist-bandits in Nancheng diocese on 14 November 1930 and died from the hardships of captivity while still a prisoner on 28 February 1931. He was 58 years old. He was born in Clones, Co Monaghan on 1 December 1872. Educated at St Macartan’s College, Monaghan, 1890-1893; Maynooth 1893-1899. Ordained for Clogher diocese in Maynooth in 1899. Taught in St Macartan’s, 1899-1911. Curate in St Joseph’s, Ballyshannon, 1911-1917. Joined the Columbans in 1918. He had had an operation for the removal of a kidney nine years previously. 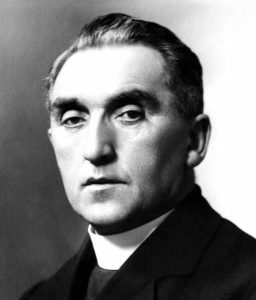 Was bursar and spiritual director in Dalgan until he went to China with the first batch of Columbans in 1920. He was then 48 years old. Was in Hanyang 1920-1924; on promotion in US 1924-1927. Was Superior of first group of Columbans to go to Nancheng in 1928. Frank, a New Zealander, was killed on 27 August 1943 during the Japanese occupation of the Philippines in Second World War. He was 33 years old. Japanese Military Police took Frank into custody on 24 July in Pililla, his parish about 25 miles from Manila. The Military Police wanted to question Frank about some Filipino guerilla leader. They eventually took him to the town of Paete, Laguna, and there in the baptistery of the church he was beaten and given the water cure. There were many witnesses to this, as the town was under investigation at the time. He was left lying in the church for some days with other men, when he asked to see the priest (a Filipino). The priest found Frank very weak and clad in shorts only. As the interpreter insisted on being present, only very little conversation passed between them. He gave Frank absolution and saw him no more. It is believed he was killed in Logos, Laguna, and that Filipino Military Police agents (collaborators) did the actual killing. He had taken a terrific beating in Paete, and the blood was on the walls of the baptistery for many months afterwards. His body was never found. Frank was born on 22 May 1920 in Johnsville, New Zealand. He was educated at Johnsville primary school and Marist Brothers, Wellington. 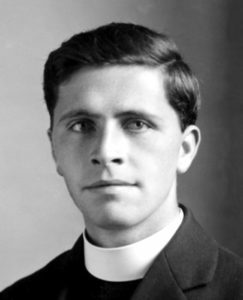 Studied for priesthood at Holy Cross, Mosgiel, and ordained for the diocese of Wellington in 1934. Joined the Columbans in 1937 and went to the Philippines in 1938. Was a British Army chaplain in the Second World War and was killed in France on 14 August 1944. During the fierce battle for the Falaise Gap, after the Allies had broken out of their beachhead and were in pursuit of the fleeing German armies, Paddy went out under fire in an ambulance to rescue a wounded Canadian soldier. On the return journey a shell hit the ambulance and he was killed. He was buried in consecrated ground in the churchyard at Ussy, Salvados. He was 27 years old. Paddy was born in Dundalk on 14 December 1916. Educated Friary School, Dundalk, 1921-1924; CBS Dundalk 1924-1926; Oram NS Castleblayney 1926-1929: St Marcartan’s College, Monaghan, 1929-1934. Came to Dalgan 1934 and ordained there 1940. Killed 10 February 1945 during the fierce US-Japanese battle for Manila. Japanese Navy personnel surrounded Malate church and convento and took every male they found on the premises (20 in all), along with four priests of Malate parish – Johnny Heneghan, Pat Kelly, Joe Monaghan and Peter Fallon. The four were never seen alive again. Nor were their bodies ever recovered. Peter Fallon was 50 years old. 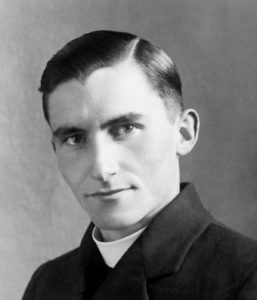 Peter was born in Ballinlass, Dunmore, Co Galway (Tuam diocese), 22 February 1895. Educated Ballinlass NS 1901-1906; NS Dunmore 1906-1909; St Jarlath’s College, Tuam, 1910-1915; All Hallows College, Dublin 1915-1918. Joined Columbans and was in Dalgan 19 18-1922. Ordained 1922 and went to Hanyang, China; was there 1922-1930. Went to Philippines 1931. Killed 10 February 1945 in Manila. He was 62 years old. (See Peter Fallon above). 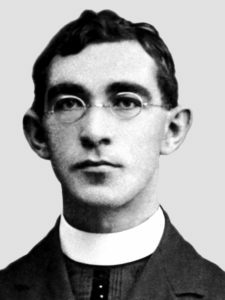 Born Louisburgh, Co Mayo (Tuam diocese), 19 December 1882. Educated St Jarlath’s College, Tuam, 1894-1900. Ordained Maynooth 1909 for Tuam diocese. Curate in Annaghdown, near Tuam, 1909-19 10. Curate Tuam town 1910-1916. In Easter Week 1916 he heard the confessions of Tuam Volunteers on their way to Athenry to joining the Rising. 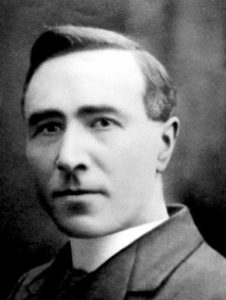 He said to a fellow priest the following morning with tears in his eyes: “If those brave lads are ready to die for Ireland, I, a priest, ought to be ready to die for Christ”. He joined to Columbans in 1916 and was the first editor of the Far East magazine. He went to the Philippines in 1931 when he was 49 years of age. Killed in Manila 10 February 1945. He was 46 years old. 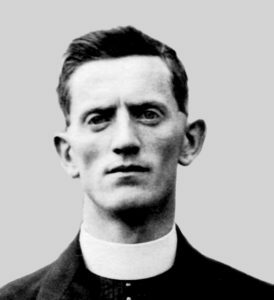 [see Peter Fallon above] Born Tullamore, Co Offaly (Meath diocese), 10 January 1899. Educated St Finian’s College, Navan and Mullingar, 1904-1909. Maynooth 1909-1915. Ordained for Meath diocese 1915. Curate Dunboyne, Co Meath, 1915-1921. Joined Columbans 1921. 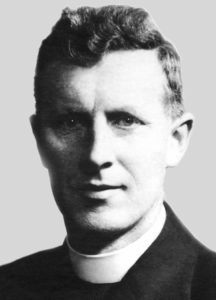 He helped establish Columbans in Australia and was Spiritual Director to the Brothers in Dalgan before going to the Philippines in 1929. Was first Superior of Columbans in Philippines. Among with Johnny Heneghan. Peter Fallon, Joe Monaghan and John Lalor were attached to Malate parish the convento of which was the ‘Centre House’ for Columbans in Philippines. Malate parish was also the parish for English speaking Catholics (m mostly American) in Manila. During the Japanese Occupation American civilians were interned in Santo Tomas University campus in Manila. American POWs were in prison-of-war camps. 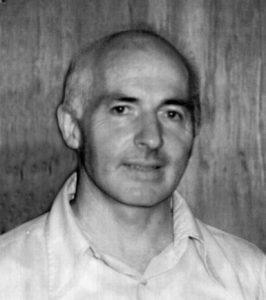 Paddy used to visit the civilian internees in Santo Tomas – he insisted to the Japanese that he was their parish priest and chaplain. After his death an American wrote to the Columbans saying “Fathers Lalor and Kelly did heroic work for US prisoners of war in Bilibid and Cabanatuan”. (I remember reading a book around 1950. It was written by a woman-Journalist, whose name I forgot. In it she referred to the Malate priest and their work for Interned civilians and US POWs. She wrote that the convento in Malate parish was a centre for storing medicines and food, which the Filipino underground movement used to smuggle into the internment and POW camps. In the latter stages of the Japanese occupation conditions were very bad in the camps, and food was scarce and medicine even more so. The Japanese may have found out about this. That the priests were engaged in this humanitarian work would seem to be confirmed by the award (posthumous) of the Medal of Freedom by the US Government to Fathers Lalor, Kelly and Heneghan some years after the war. The Medal of Freedom is the highest civilian decoration, which the US can give to non-US nationals. Killed In Manila 10 February 1945. He was 37 years old. See Peter Fallon and Patrick Kelly above. Born Banbridge, Co Down, 17 November 1907. Educated St Patrick’s NS, Banbridge, 1912-1920; St Colman’s College, Newry, 1920-1925. Went to Dalgan 1925 and ordained there 1931. Went to the Philippines in 1932. Killed in Manila on 13 February 1945, during the battle between Americans and Japanese for the city during Second World War. John was attached to Malate parish, the only Manila parish at that time of which Columbans had charge. [see Patrick Kelly above] While the battle raged, John was working under an assumed name dressed in the white suit of a doctor in the Malate school, which had been converted into a hospital. He helped in the hospital, cared for the sick and the dying. He celebrated Mass in the darkness of the night. A shell explosion killed him. He was 47 years old. Two hundred died in the hospital compound and are buried there. Born in Cork City, parish of St Mary and St Anne, on 9 August 1897. Educated in Mungret College. Came to Dalgan in 1921. 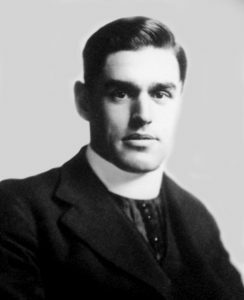 Ordained 1924. Went to Hanyang, China in 1926. Went to the Philippines 1934. Tom was killed in the battle of Mandalay, Burma, between British and Japanese, on 16 March 1945. A shell exploded while he was celebrating Mass, along with other Columbans also celebrating their Masses, in the chapel of the Leper Asylum in Mandalay. The Columbans in Burma were interned in the Leper Asylum. Tom was born in Naas, Co Kildare, on 25 February 1906. A street in a new housing estate in Naas was named after him in 1984. Educated CBS Naas, 1912-1922; Mungret College, Limerick 1935. Was among the first batch to go to Burma in 1936. Killed by North Korean soldiers on 27 June 1950. North Korean forces had crossed the 39th Parallel, the dividing line between North and South Korea, on June 25. Tony was in charge of the second Columban parish in Chunchon city, not many miles south of the 38th Parallel. He, Monsignor Tom Quinlan and Frank Canavan had been urged by a US Army officer to leave Chunchon on 26 June but they decided to stay. Tony was taken into custody, briefly interrogated and then shot dead. He was 37 years old. Quinlan, Canavan and later Phil Crosbie were taken into custody and the three of them took part in the notorious “Death March” to the far north of Korea. Along with them were many US POWs and some civilians (many of them missionaries); the death rate from the hardships of the march was appallingly high. Consult Phil Crosbie’s book ‘Three Winters Cold’ and ‘Captive in Korea’ by Philip Deane. Tony was born in Clogherhead, Co Louth on 20 June 1913. Educated in CBS Drogheda 1921-1926; St Patrick’s College, Armagh, 1926-1931. Came to Dalgan 1931 and ordained there 1938. Went to Korea 1939. Killed in Korea 4 July 1950, two days after North Korean troops occupied Samchok, his parish on the east coast, about 50 miles south of the border between North and South Korea. In the week between the outbreak of war and the occupation of his parish he had been urged by his people to leave but he refused to do so. He was 38 years old. 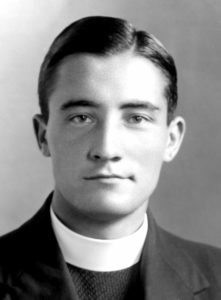 It was not until March 1952 that his grave and body were located by Fr. Brian Geraghty. Jim was born in Bute, Montana, USA on 15 November 1911. Educated in St Mary’s Newcastle, Co Down and St Malachy’s, Belfast. 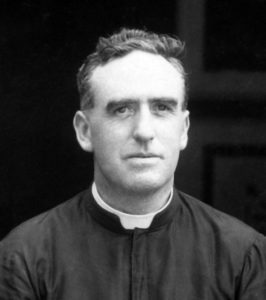 Came to Dalgan in 1929 and ordained 1935. Went to Korea 1936. Killed by North Korean soldiers on 29 August 1950 near Mukho, his parish, not far south of the border. He had gone to hide in the house of a catechist on June 28 or 29, when the North Korean army occupied Mukho. The catechist’s house was about 5 miles northwest of the town. After 26 days the North Koreans discovered Paddy’s whereabouts. He was arrested and taken to the police station in Mukho. The exact details of his death are unknown. His body was found on a mountain path by an old man gathering wood. He had been shot through the chest. Paddy was 35 years old. Paddy was born in Drumraney, Co Westmeath on 21 October 1915. Educated Drumraney NS 1920-1929, and St Finian’s College, Mullingar, 1929-1934. Came to Dalgan 1934 and ordained there 1940. 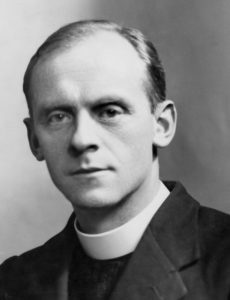 Did pastoral work in diocese of Clifton, England 1941-1946. Went to Korea 1947. 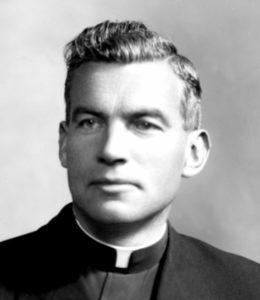 Monsignor Patrick Brennan, an American and Prefect Apostolic of Kwangju, Korea, was taken into custody, along with Tom Cusack and Jack O’Brien, by North Korean troops on 24 July 1950. They were attached to the Columban Mission in Mokpo, in the south of the country. They were taken to Taejon prison and are presumed to have perished in the general massacre of prisoners there on the night of 24 September 1950. Their bodies were never found. Pat Brennan was 49 years old. Pat Brennan was born in Chicago on 13 March 1901. 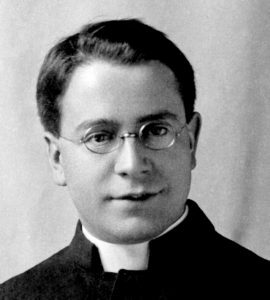 Educated at St Rita’s High School 1915-19 17; Quigley’s Preparatory Seminary, Chicago, 1917-1922; Mundelein Seminary 1922-1928. 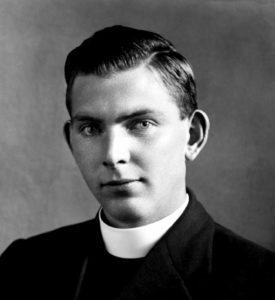 Ordained for archdiocese of Chicago 1928. Joined the Columbans in 1936 and went to Korea in 1937. Repatriated to USA as an enemy alien (by the Japanese) In 1942. Served as US Army chaplain in Normandy, Germany and the Ardenne and was awarded the Soldier’s Medal for bravery. Returned to Korea in 1946. Member of General Chapter of the Society 1947. Appointed Director of China region in 1947 and resided in Shanghai. A year later they Holy See appointed him Prefect Apostolic of Kwangju, Korea. He was 40 years old. Born Ballycotton, Liscannor, Co Clare on 23 October 1910. Educated Ballycotton, NS 1914-1924; St Mary’s College, Galway 1924-1928. Came to Dalgan 1928 and ordained there 1934. Went to the Korea 1935. Killed during Korean War in Taejon on 24 September 1950. (See Patrick Brennan above.) He was 31 years old. 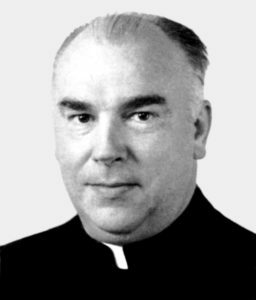 Born in Donamon, Co Roscommon (Elphin diocese) on 1 December 1918. Educated Kilalla NS 1924-1925; Ballinrobe NS 1925-1931; St Nathy’s College, Ballaghaderreen 1931-1936. Came to Dalgan and ordained Dalgan (Navan) 1942. Served as British Army chaplain 1943-1948. Went to the Korea In 1949. Died in North Korean prison camp on 6 December 1950 as a direct result of hardships experienced on notorious Death March of prisoners. See Anthony Collier above. He was 34 years old. Born Headford, Co Galway on 15 February 1915. Educated Headford Convent School 1919-1922; Headford NS 1922-1929; St Mary’s College, Galway 1929-1934. Came to Dalgan in 1934 and ordained there 1940. 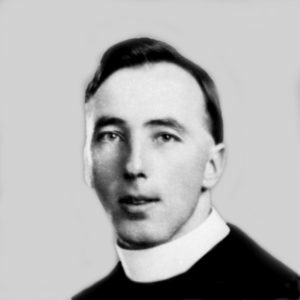 Served in Galway diocese 1941-1948. Went to Korea in 1949. Killed on 26 November 1950 in the Philippines. He was taken from his parish in Labrador, Luzon, on 30 October by Huk Communist guerrillas. His body was never found. He was 42 years old. Born on 5 November 1908 in Sixmilebridge, Co Clare. Educated Kilkishen NS 1912-1920; Ardnacrusha NS 1921-1922; Kilkishen NS 1922-1923; Sacred Heart College, Limerick, 1924-1926; St Flannan’s College, Ennis, Co Clare 1928-1931. 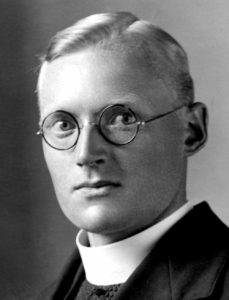 Educated for priesthood Clonliffe College, Dublin, 1928-1931; Maynooth 1931-1935. Ordained for Dublin diocese 1935. Served as British Army chaplain during Second World War. Joined the Columbans in 1947. Went to the Philippines in 1948. Killed on 23 March 1964 in Burma. He was working in a Kachin parish at a time when Kachin guerrillas were active against the Burmese army. The Kachins wanted a Kachin national state. It was a time of great unrest. John had come down from his parish to Columban Centre House in Myitkyina. It was on his way back to his parish that he was killed. His body was found in a shallow grave a short distance from an army post. There was a bullet through the back of his head and his rosary beads were in his hand. There were no witnesses to his death. It was surmised at the time that he may have been killed in retaliation for the killing of two Burmese Buddhist monks by Kachin rebels a short time previously and that the Burmese army did the killing. He was 42 years old. John was born in Bandon, Co Cork on 5 August 1921. Educated Bandon NS 1927-1933; St Finbarr’s College, Farranferris, 1933-1939. 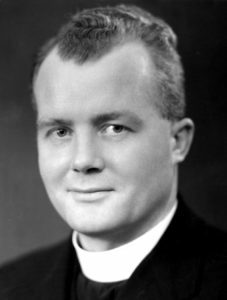 Educated for priesthood at Irish College, Rome, 1939-1945. Ordained for Cork diocese. Joined the Columbans 1945. Went to the Burma 1952. Killed in Balabagan, Mindanao, Philippines, on 19 October 1970. Martin had reprimanded a 14 -year-old student in the parish high school for a breach of discipline in the morning. The student, accompanied by his 17-year-old brother, returned in the afternoon, armed with a revolver and a carbine. They shot Martin dead. He was 35 years old. 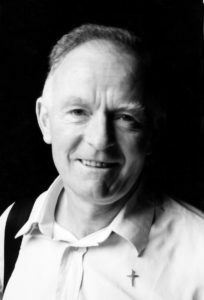 Martin was born in Dublin on 18 August 1934. Educated Dominican convent School, Muckross, Donnybrook, Dublin, 1940-1943; Xavier College, Donnybrook 1944-1946; Ring College, Dungarvan, Co Waterford, 1947; Presentation College, Bray, 1948-1952; Kevin Street Institute of Science and Technology, Dublin, 1953. Came to Dalgan 1954 and ordained there 1961. Went to Philippines in 1962. 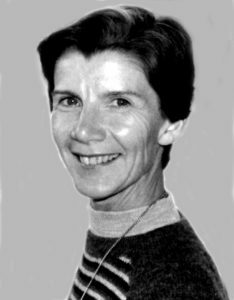 Joan Sawyer was a Columban Sister who was shot dead in Lima, Peru, in December 1983. She used to go to the Lurigancho Prison in Lima three or four days a week to visit the prisoners there. The prison held over 5,000 men. Conditions were bad. Out of 5,000 prisoners only 1,000 were sentenced. The rest were pending sentence or perhaps innocent. Joan used try to bring them some relief – medicines for some, a kind word for others, news about how she was progressing with their legal papers in the ministry for Justice, etc. The large majority of prisoners came, in her own words, “from the poor sectors of Lima where they never had enough to eat, didn’t finish school and couldn’t find decent work”. On the morning of 14 December 1983 a group of prisoners decided that at all costs they were going to escape. They took as hostages Joan Sawyer, three Marist Sisters and social workers. After all day negotiations with the prison authorities it was agreed that the prisoners and their hostages would be allowed leave the prison in the evening in an ambulance, the most inconspicuous mode of travel for getting out unnoticed. They were no sooner outside the prison gate than waiting police riddled the ambulance with bullets from all sides. Four bullets struck Joan, one through the back of the neck, two through her leg and one through her finger. When removed from the ambulance she was dead. Joan Sawyer was born in Donegore, Co Antrim, in 1932. She entered the Columban Sisters in 1949 having previously worked as a secretary in Belfast. Subsequently she took her BA degree in Mundelein College, Chicago. She went to Peru in 1977 and was 51 years old at the time of her death. James died in Japan on 2 January 1985 as a result of an assault by a deranged man. James was born in Bofeenaun, Ballina, Co Mayo in 1916. Educated at St Muredach’s, Ballina. Came to Dalgan in 1935. Ordained 1941. 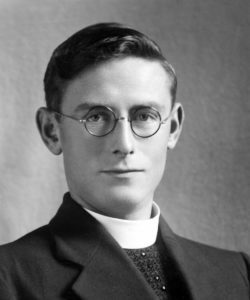 Ministered in the Diocese if Menevia, Wales during World War II. Assigned to China in 1946. In 1950 moved to Japan following the revolution in China. He spent the next 33 years ministering in Japan until his untimely death, buried in Fuchu, near Tokyo. Vincent was murdered in St Joseph’s Church, Falmouth, Jamaica on 21 April 1994. Vincent was born on 15 September 1931 in Clonmel, Co Tipperary. Educated in Clonmel. 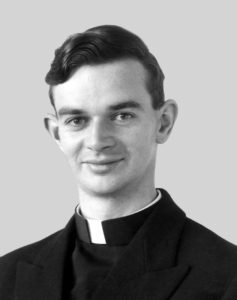 Ordained in Dalgan 1955. Assigned to Japan in 1956. Two terms as Superior in Kanagawa. In 1984 assigned to Ireland. Socius to the Spiritual Year Programme. Assigned to Jamaica in 1990 and was parish priest of Falmouth at the time of his death. Vincent is buried beside the Church in Falmouth. On 28 August 2001, Michael Anthony (Rufus) Halley was shot dead in Malabang, Mindanao, Philippines. He died during an attempted kidnapping. Fr Rufus was 56 years old. Rufus was born in Waterford in 1944. His primary education was at Waterpark College and Ring College, Waterford. His secondary education was in Glenstal Abbey. 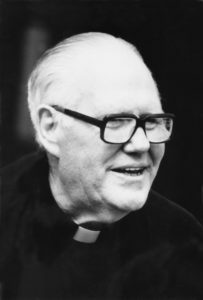 He joined the Columbans in 1962 and was ordained 1969. He was assigned to the Philippines the same year and ministered in the Manila area and Jala-jala, a remote town in the Province of Rizal. A gifted linguist, he spoke excellent Tagalog. Following a visit to Mindanao, he requested assignment to the Diocese of Marawi. Marawi is the center of Muslim life in the Philippines. He learned to speak both Cebuano and Maranaw. Rufus spent his remaining years working for reconciliation amidst the strife and violence of Marawi and Malabang. Returning from a Christian Muslim meeting, he was stopped by a heavily armed group who attempted to kidnap him. The incident led to his murder. Rufus is buried in the Columban plot in Cagayan de Oro.